Go and find more Weegee cards, and/or print them. 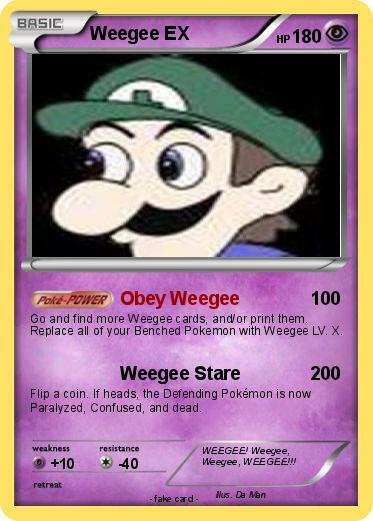 Replace all of your Benched Pokemon with Weegee LV. X.
Flip a coin. If heads, the Defending Pokémon is now Paralyzed, Confused, and dead. Comments : WEEGEE! Weegee, Weegee, WEEGEE!! !